Why is the color pattern in the second rainbow in reverse order? Questions of the Day ?? 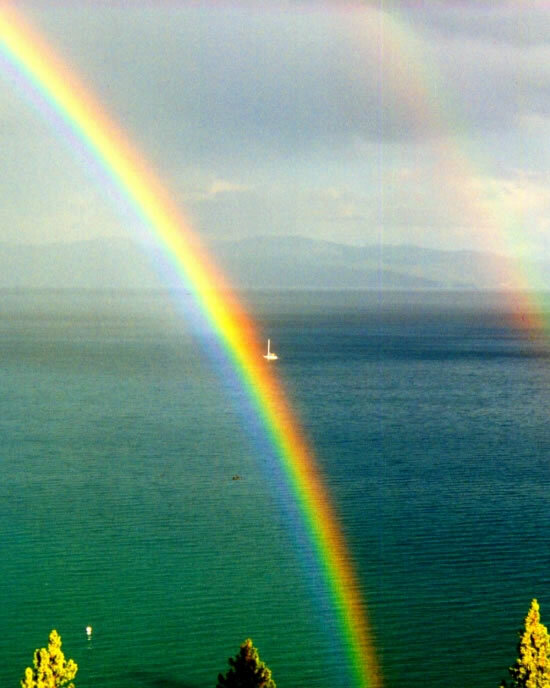 Why is the light brighter beneath,or inside a rainbow than it is above it, or outside a rainbow?